I am excited to share with you my most recent find: Korean artist Lee Jung. In her work, the artist frequently uses the juxtaposition of text and image to explore the idea of language in terms of spatial context. 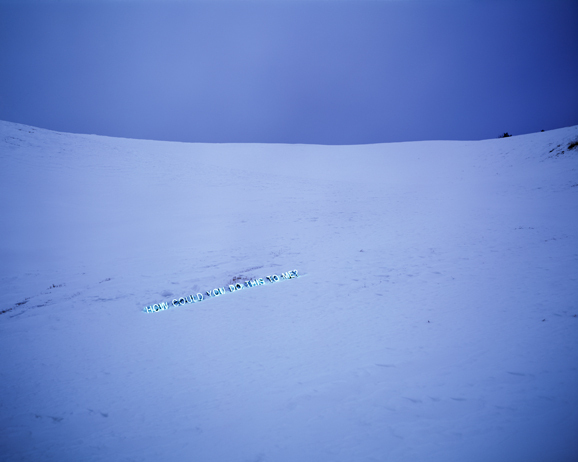 Often placing common, emotionally-laden phrases in the unnatural context of environmental landscapes devoid of human touch, the artist calls to mind questions such as: what is the relationship between language and environment? 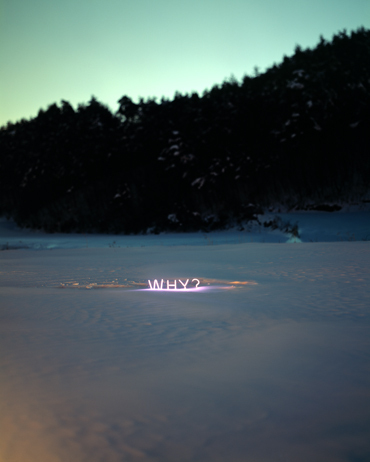 Do words become more or less meaningful when placed in a setting virtually untouched by mankind? What happens when you displace language from its original context? Lee Jung was born in 1972 and currently lives and works in Seoul, Korea. She earned an M.A. in Photography from the Royal College of Art, UK, a B.A. with honors in Photography from Kent Institute of Art & Design, UK and a second B.A. with honors in Mass Communication & Journalism from Kyung Hee University in Seoul, Korea. 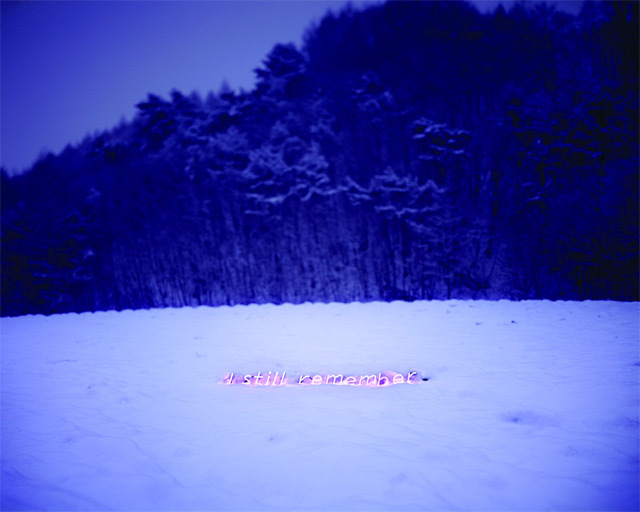 Lee Jung most recently participated in 2010 Gwangju Biennale “10,000 Lives” under the direction of Massimiliano Gioni, the contemporary Korean photography exhibition “Chaotic Harmony” at the Museum of Fine Arts (Houston) and “Writing Paintings, Painting Words” at the Seoul Museum of Art. 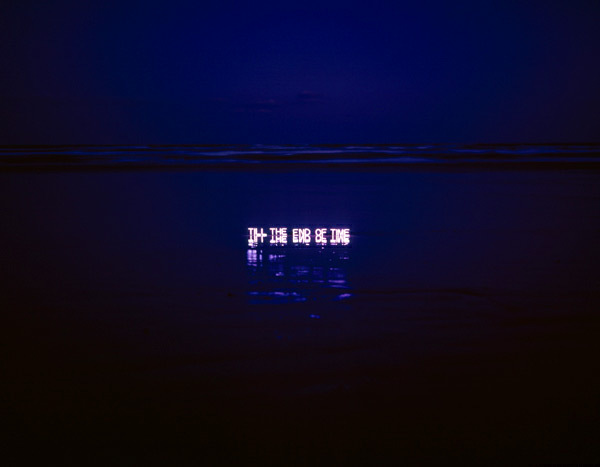 From the artist: "As I was working on the Bordering North Korea series, I got more and more interested in incorporating text into photo and was completely intrigued by the concept of ‘language as an image.’ The new exhibition of the ‘Aporia’ series took its motif from A Lover’s Discourse by Roland Barthes. In this essay, Barthes discusses the dilemma experienced by people who fall in love. If you fall in love, your beloved becomes a sort of mystery so that you will ceaselessly try to figure out the reasons for your feelings for him or her and to interpret them. The desire to express your love produces lies and conflicts and leads to a dead end that is a love. As you endlessly consume the trite words of love, the object of your affection will eventually become the love itself instead of love. The sweet nothings being reiterated in the air, unable to reach anyone between you and me, seem to ironically reveal the solitude and sorrow of people in contemporary society. 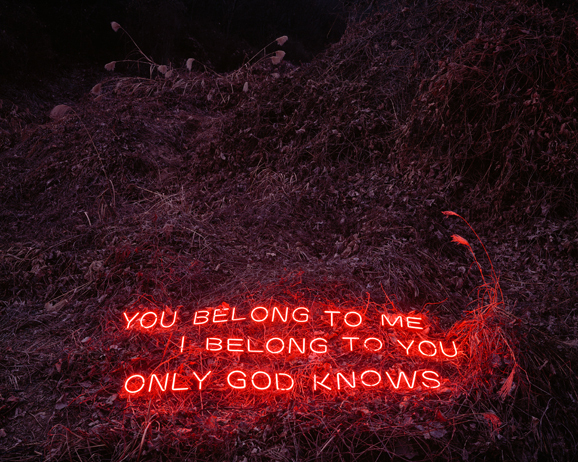 I began imagining the emptiness and lonesomeness behind the glowing neon signs of the city. And I started collecting the expressions of love and hatred that can be commonly found on the Internet, TV or movies. 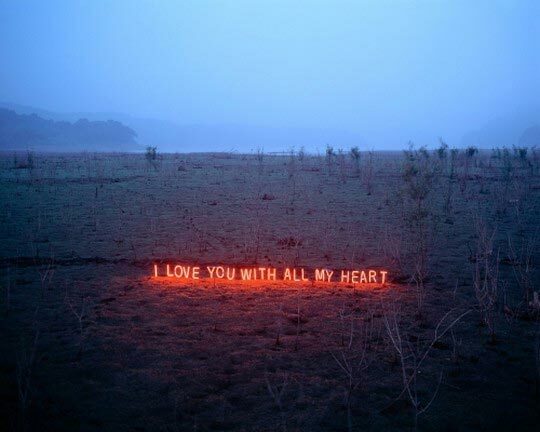 Such clichés that everyone might hear or say at least once are spreading and circulating via the media and exercise absolute power in our real life (for instance, if you type the phrase ‘I love you with all my heart’ in search engines like Google the search results will number close to two million). What would happen if you took these common phrases into unknown deserted places? 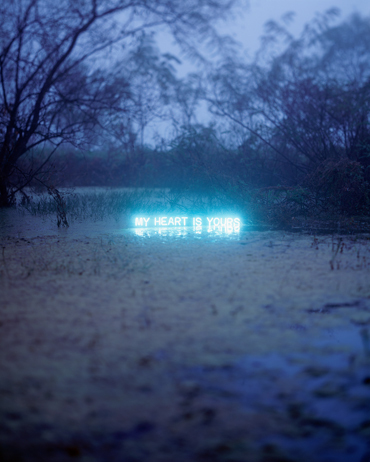 I created text with neon and placed them in this type of landscape. These hackneyed and banal phrases meet the deserted places – ushering you into a beautifully sparkling moment. Aporia means ‘coming to a dead end’ in Greek. The cry for love faintly spreading across the desolate places indicates the dead end of ‘love’ that cannot be solved with logic and philosophy. 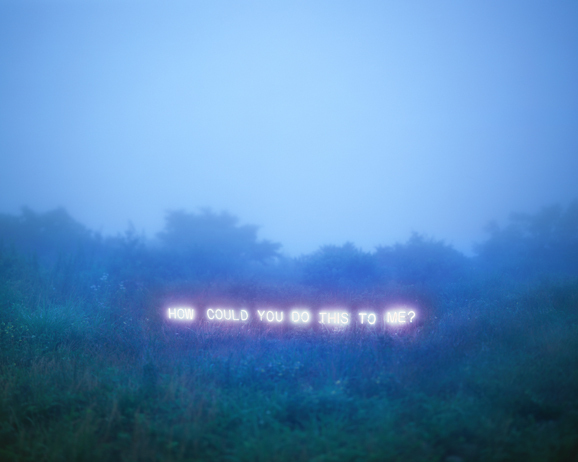 I expect viewers to have a short but impressive trip daydreaming of their own love stories through this combination of neon, landscape and text."